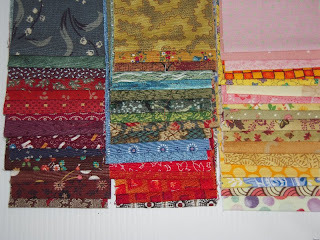 The Tea Towel﻿ quilt is for a deployed service person in Afghanistan so the pinks and some of the darker 2 1/2" strips were culled from my home made jellyroll. 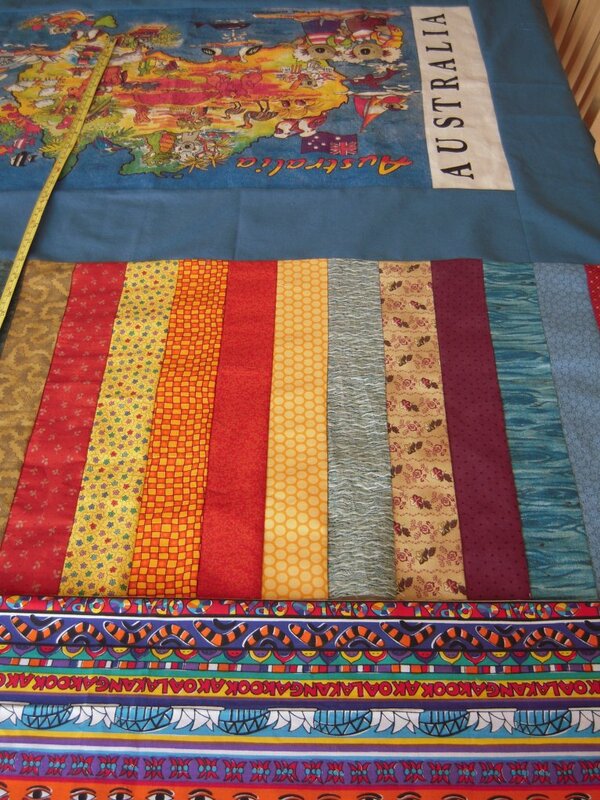 I then stitched the strips together ah la "chip quilt". 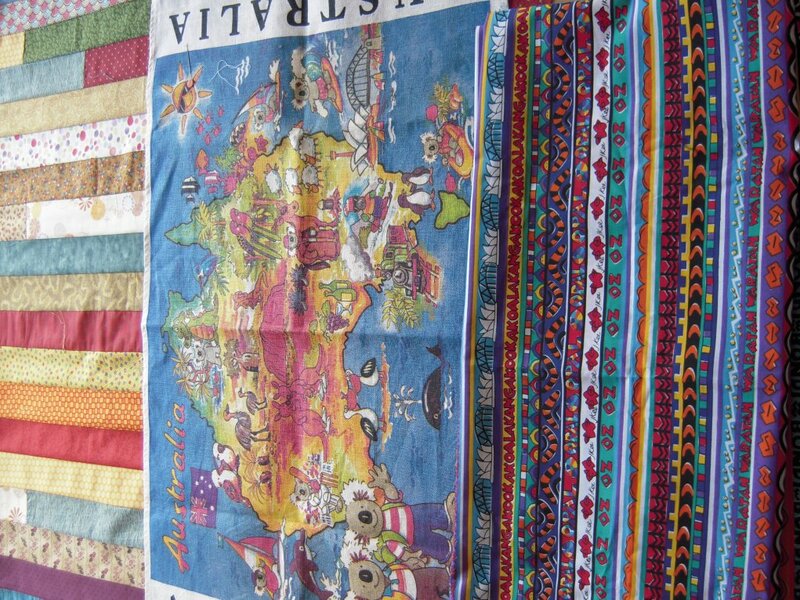 So now I have a tea towel, a set of strips and the vintage Aussie sheeting. 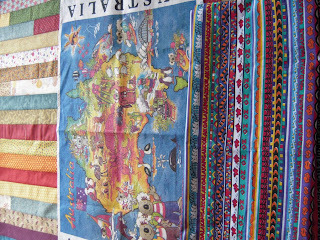 Verticals Horizontals and a blob(the tea towel) What next? Framing the map made it the feature. O.K. what next? 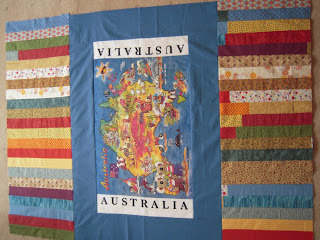 I cut the made striped fabric in half for a top and bottom of the map. 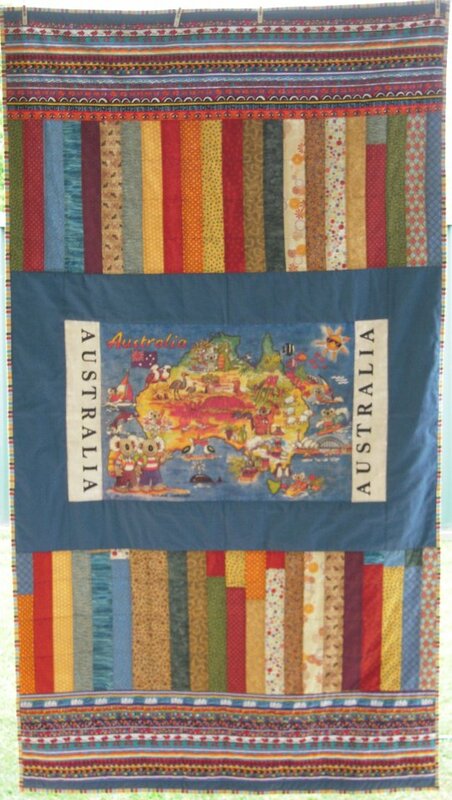 Because this quilt is destined for the top of a military cot the size is 42" wide and 72" long. Not a lot of width for designing around. 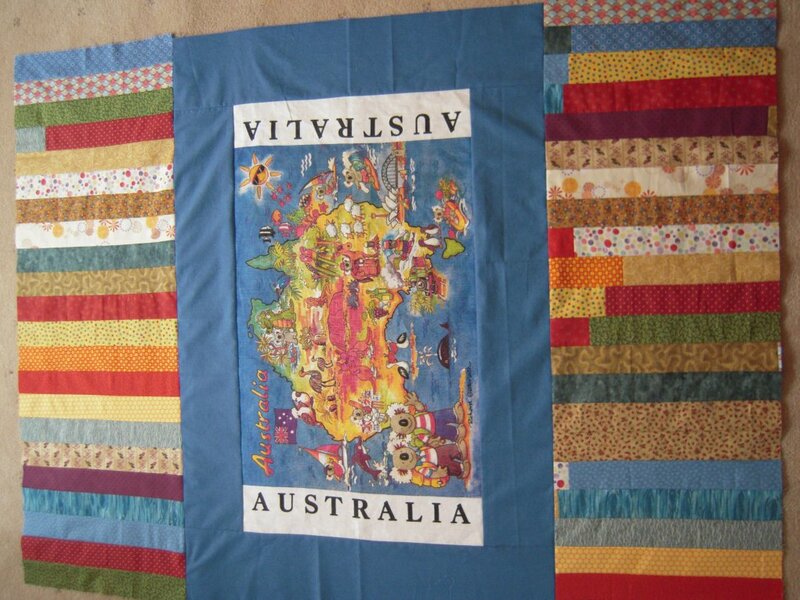 Measured the length and added enough of the Aussie Icon fabric to achieve the desired 72". 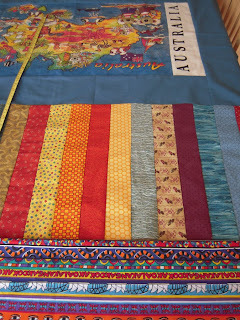 Using the horizontal stripe added to the quilt in 2 ways. Visually it bracketed or framed the otherwise long skinny quilt. Second and more important it contributed symbols of home for someone far away in a very "latte" colored landscape. Simple straight line quilting and it was posted. I had fun which is what IT"S all about. It's lovely. Best wishes to the recipient. You've inspired me! Maybe I'll make an effort to wrap mine up starting tomorrow! This is certainly going to brighten up the receiver's barracks! You did an excellent job! I love it.. simple, straightforward, yet bright, cheery, and modern. Beautiful.